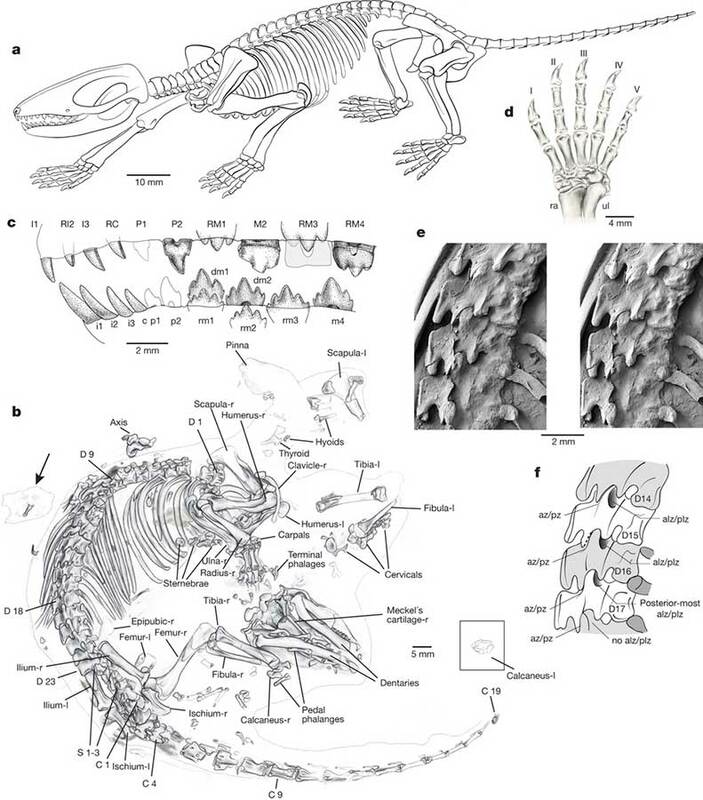 Scientists from the Autonomous University of Madrid, University of Bonn and the University of Chicago published a study in the journal Nature, presenting a well-preserved 125 million year skeleton of the Cretaceous mammal Spinolestes Xenarthrosus. A creature founded near to Cuenca, Spain, which has previously yielded a wealth of bird and reptile fossils, belonged to the dinosaur era. The discovery explains how the fossil conserved unusual things such as hair, soft tissues, and organs. Angela D. Buscailuoni, professor of paleontology at the Autonomous University of Madrid, discovered the first mammal fossil in 2011. She worked with professor Zhe-Xi Luo from the University of Chicago, who helped reporting the discovery in the journal Nature. She also worked with Thomas Martin, one of the lead researchers of the Spinolestes, and professor of paleontology at the University of Bonn. This mammal’s fossil had one of the most preserved mammalian hair structures and inner organs ever discovered in more than 60 million years. This represents a new record for paleontology discoveries. The creature’s fossil exhibits typical characteristics of older mammalian species, features such as pelage, mane, and a variety of skin structures. The skin of this Mesozoic mammal presents similarly broad structural variations as in extant mammals. Things such as soft tissues in the thorax and abdomen suggested the presence of strong muscular diaphragm. “Spinolestes is a spectacular find […] it is stunning to see almost perfectly preserved skin and hair structures fossilized in microscopic detail in such an old fossil.” Said Professor Zhe-Xi Luo, as reported in the journal Nature. The Spinolestes belongs to a once widespread group of smaller mammals called Triconodonts. Normally these species had the same size of a young rat. It was one of the mammals that survived underground during the dinosaur era. Its body spine was similar to the armadillo’s, meaning that it might have protected itself from predators by contracting the whole body. Also, his strong diaphragm showed that it had and advance robust metabolism and is estimated to have weighed around 50 to 70 grams. Furthermore, the discovery revealed that the fossil of Spinolestes contains a large external ear, the earliest known example in the mammalian fossil records. It had small spines -around a tenth of a millimeter in diameter – on its back, which appeared to be formed by the fusion of filaments at follicles during development. The team also found abnormally truncated hairs that are evidence of a fungal skin infection known as dermatophytosis, which is widely seen among living mammals. “Hairs and hair-related integumentary structures are fundamental to the livelihood of mammals, and this fossil shows that an ancestral, long-extinct lineage had grown these structures in exactly the same way that modern mammals do […] Spinolestes gives us a spectacular revelation about this central aspect of mammalian biology,” Luo said in Nature’s publication. The research also showed how this mammal was extremely well adapted to its ecological system and, even in the era where they lived, they were not primitive and their anatomic structure was more developed than other species. ‘’We have to revise our thinking […] Mammals were indeed very small during the time of the dinosaurs. But they were certainly not primitive.” Said Professor Martin in the report.